It’s important to take the question of appointing a property manager seriously. This person will be in charge of a valuable piece of your investment portfolio, so it is an important business relationship. Below are a few hints and tips on what to look for in a property manager. You can find out more about property management and property managers from real estate websites like that of Templeton Property; follow this link for more information. You want to be able to rely on your property manager’s timely communication with you, particularly if you live at some distance from your investment property. Does the agent respond to your emails and texts promptly? Are they easy to reach during an emergency? Are their replies detailed and efficient? Or do you have to chase them up several times to get the answers you need? Are you constantly referred to their assistant and can never get a hold of them? These last two may be signs of a property manager with whom you may not like to remain in business. It’s important to feel comfortable leaving things in the hands of your property manager and know that they will handle minor hiccups and repairs. You also need to be able to rely on them to have your best interests at heart and to manage the relationship you have with your tenant. A property manager who keeps you in the dark about repairs and costs until you receive your rental statement may need reminding that they work for you, not the tenant residing in your property. While it is important for your property manager to maintain a good relationship with your tenant, the most important part of your business relationship is the one between the property manager and you, the owner. After all, you are the paying client. An experienced property manager will have been in the area or the industry for some years. The better their local experience and knowledge, the better service they can offer you. If they know the local area well and have been managing properties around there for some time, they will have a very good grasp of what kind of rental income you can expect, the kind of tenant you will be able to attract, and the best way to manage your asset for both the medium and long term in order for you to get the best return possible for your portfolio. They will also know how to spot a difficult or dodgy tenant, and this type of knowhow is invaluable to an investor, especially one who may be located at some distance from the property itself. 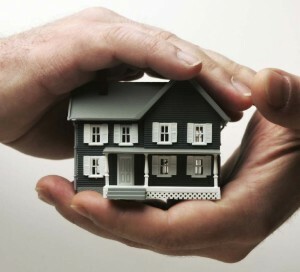 Finding a good property manager is very important for getting the best out of your investment property. It pays to look for one with experience and lots of local knowledge, as well as one with whom you can forge a sound business relationship. What do you think is important when looking to appoint a property manager to look after your real estate assets? Let others know in the comments below. Are Home Security Systems Worth the Money?